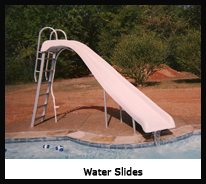 Our goal at Custom Pool Designs is to offer our customers top-of-the-line pool design and construction services at affordable rates in the Tyler/Longview area. With thirty-one years of experience in East Texas, we have established a reputation based on our extraordinary designs, the quality of our craftsmanship and the exemplary benefits of our customer-service approach to business. We understand that our customers keep us in business. In order to express our appreciation, we strive diligently to ensure their complete satisfaction with each and every service we perform. Please give us a call today. We look forward to hearing from you and working with you.